Amidst the chaos and decay of the plastic age, the filth, the waste and the lack of deliberation on ways to save our planet from complete devastation, another thing we could lose right now is: hope. 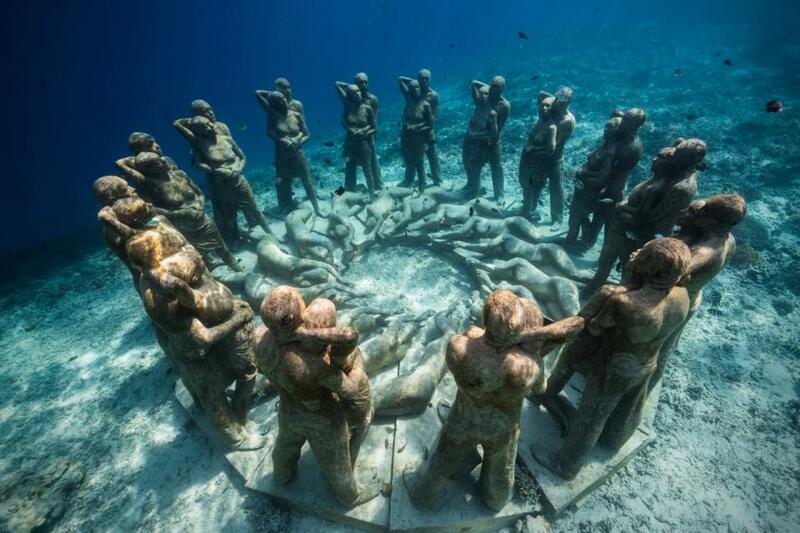 Artists such as Jason deCaires Taylor convey to us that feeling, that if we act now, if we show reasonable measures to help saving what is left, to prevent our ecosystems from being depleted, to not over-exhaust our resources by keeping in mind our future generations, then, there is hope we can count on. Yet we cannot simply rely on our optimistic exchange of the word hope. The key, as deCaires Taylor shows, is to take action. Land Art is a movement that emerged at the of the 60's, where artwork where built from and into the natural landscape without concern for any environmental impact of any recognition of responsibility towards nature. 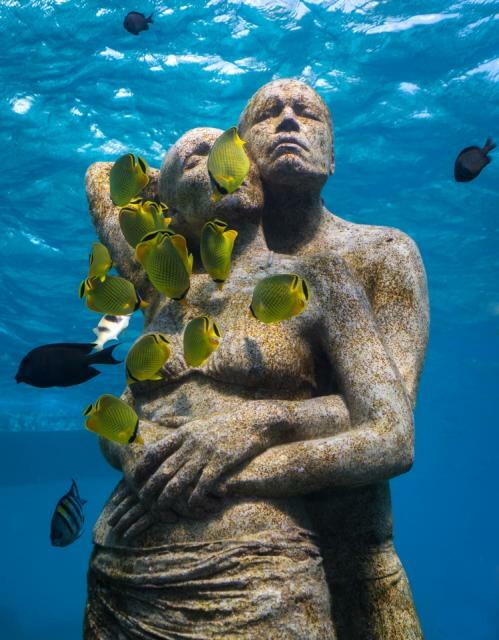 DeCaires Taylor's giant cement sculptures, which are sunken into the ocean in areas with barren seedbends, now provide a new home for the underwater world. The final pieces are sculpted by him and crafted by the ocean. Art of this nature, other than being thought provoking, is also beneficial on many levels. Jul 8 A Delicate Balance: Can systems of man and nature co-exist?